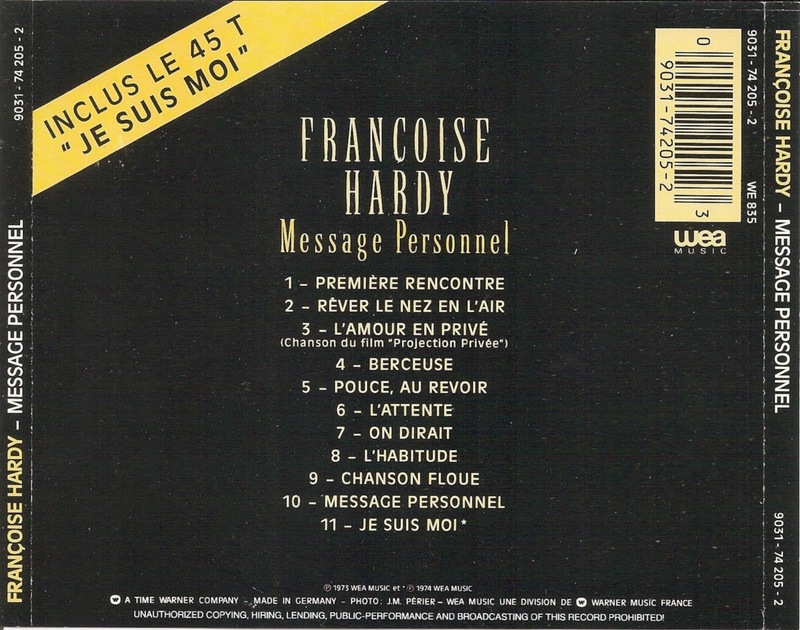 Françoise Madeleine Hardy (born 17 January 1944) is a French singer, actress and astrologer. 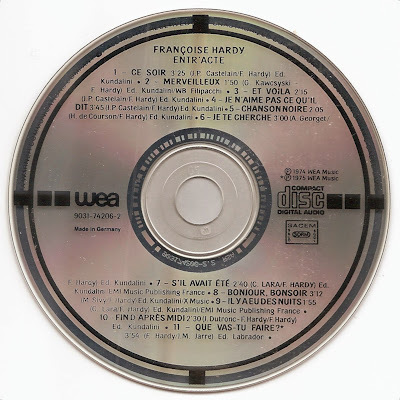 Hardy is an iconic figure in fashion, music and style. 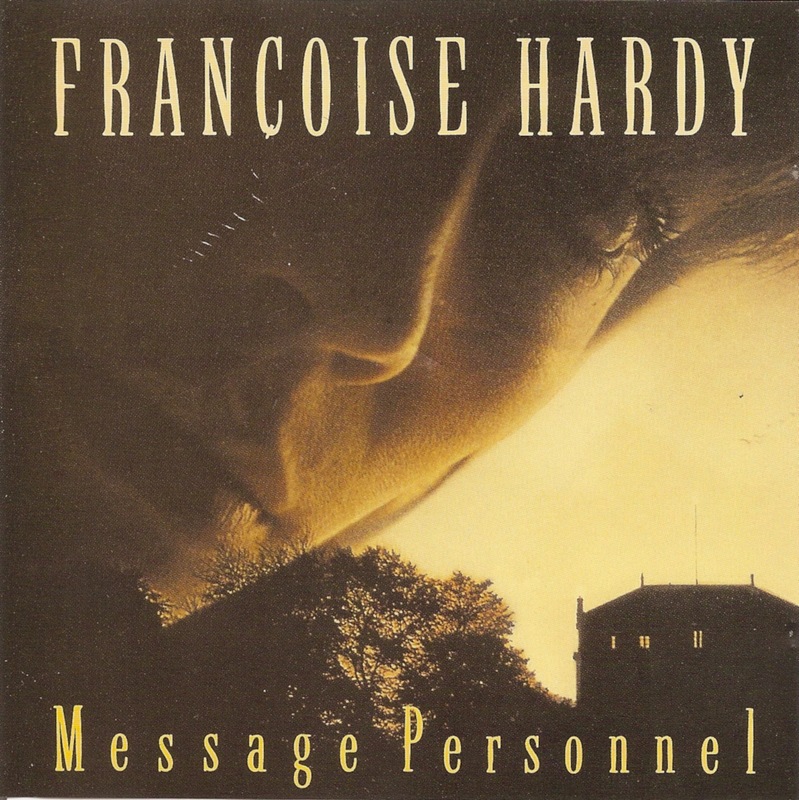 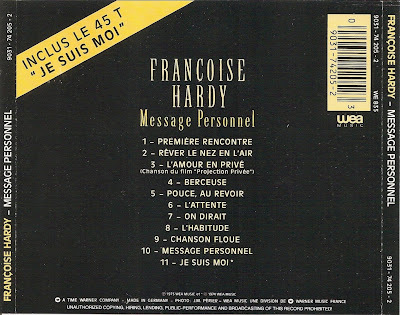 Message Personnel is a studio album by the French singer Françoise Hardy, released in 1973. 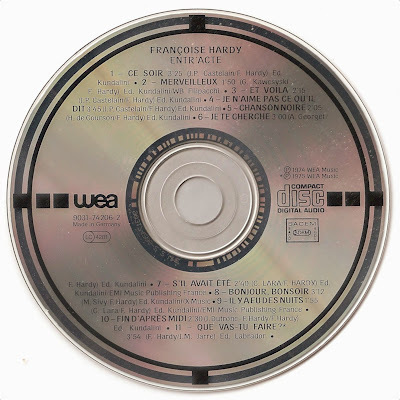 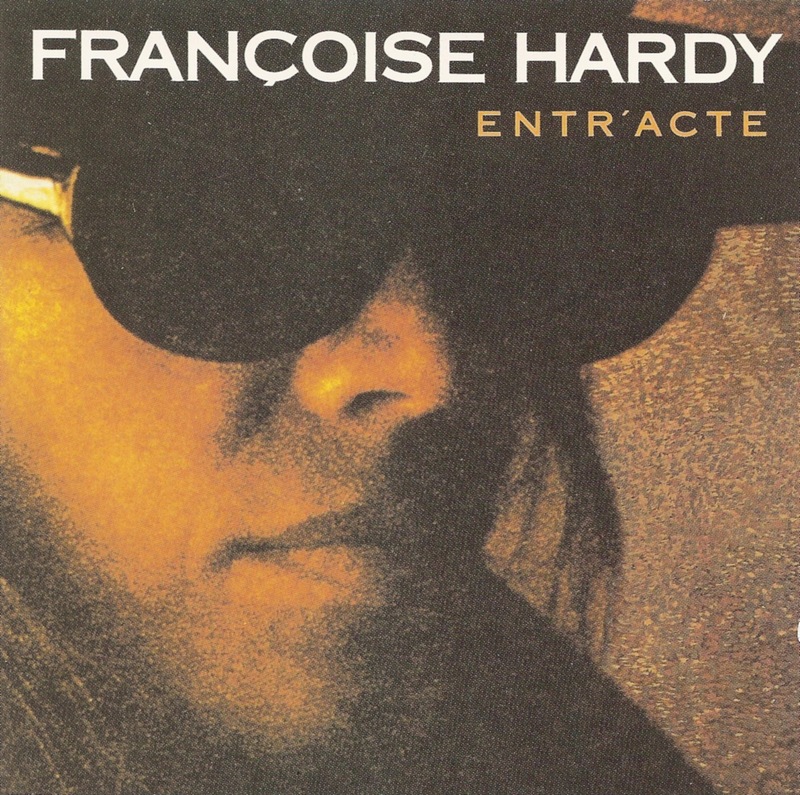 Entr'acte is a studio album by the French singer Françoise Hardy, released in 1974.